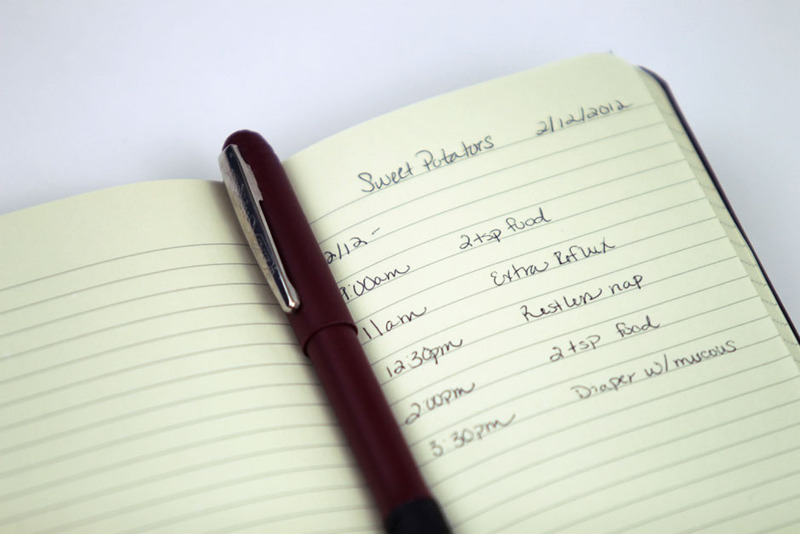 Whether you are nursing or starting solids with your child, a food journal can be a helpful tool in figuring out which foods are safe and which foods are unsafe for your little one. Many parents find it helpful in learning what their little one’s “baseline” or “norm” looks like, so that they are better able to identify reaction symptoms if and when they do occur. We provided you with some helpful sample journals but in case you would like to create your own, here are some tips to get you started. Remember– whether it is written in a spiral notebook or with a computer program, the key is making it work for YOU so that it can be best optimized as another tool for the toolbox. Create a format that is easy to use, easy to read, and that makes sense to YOU. Demonstrate to other caregivers how to use the food journal and how it can help your child. 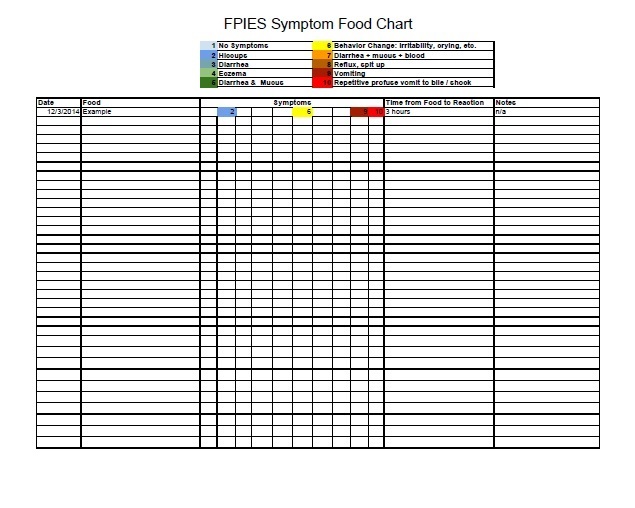 This chart, inspired by Krissandra Cox and formatted to Excel by Robyn Stojakovich, fellow FPIES moms, was featured on our blog. 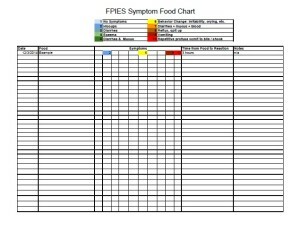 Download the PDF above or e-mail us at contact@thefpiesfoundation.org for the Excel version you can customize! Let your child’s doctor(s) know that you are keeping a food journal– some doctors find it helpful to view the food journal periodically to track symptoms, to check on the child’s diet, or for other reasons.